Hello, today we’re taking a look at some of the best watch winder boxes available with models available for everyone’s budgets. 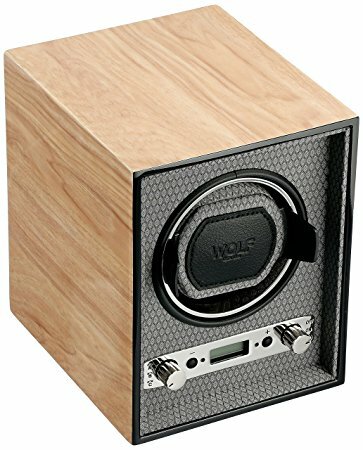 There are some cheap watch winder boxes if you’re after something simple, or you could go for a Wolf Designs model if you’re after an expensive luxury watch winder. So maybe you’ve gone and bought a few of the timepieces from our 100 best automatic watches under £1000 recently and are now looking for a suitable watch winder to keep that beauty in top condition. This list should definitely help point you in the right direction in terms of brand and quality. At the end of each title, I’ve placed a tag of either affordable, mid range, or luxury to give an indication of the price range of each watch box. To view more details on any model just click through to the relevant sales page for up to date details and watch winder reviews. 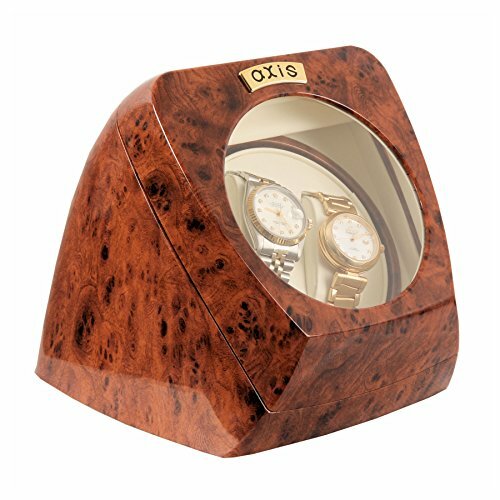 This is a beautiful looking single watch winder designed to keep your luxury watches fully wound and charged when not in use. 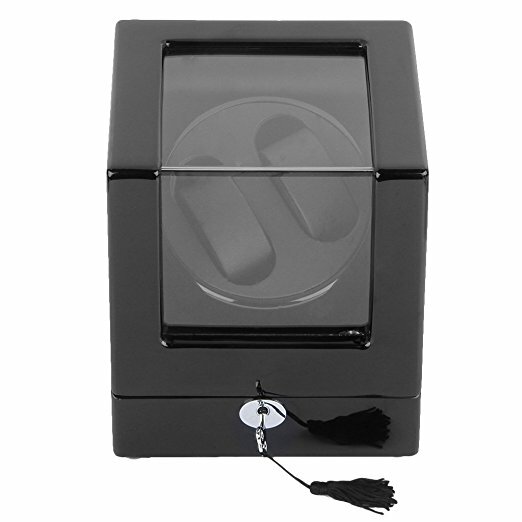 This single watch winder comes in a high gloss black finish and measures 150mm x 147mm x 140mm (L x W x H). 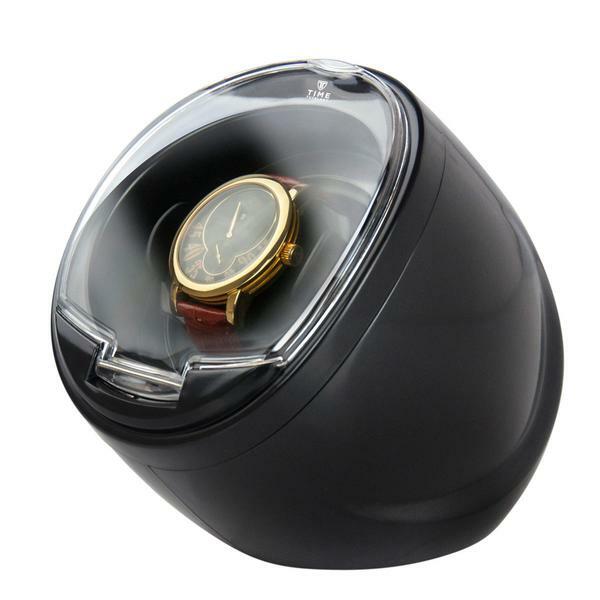 This model is ideal for those out these looking for the best inexpensive watch winder. Here we have another model by Time Tutelary which are one of the top watch winder brands when it comes to affordable options. This model has both clockwise and anti-clockwise winding which can be swapped at the flick of a switch. A timer function allows you to use auto rotate for 1 hour and rest for 3 hours too. This is a great single watch winder as it can fit in good sized chunky watches with plenty of clearance between the turntable and cover. Next up we have a dual watch winder with a lock function. This model has a luxurious finish with its piano high gloss style. There are 5 different modes of operation to choose from so you can pick your favourite. This model has an extremely quiet motor with noise as low as 10db. 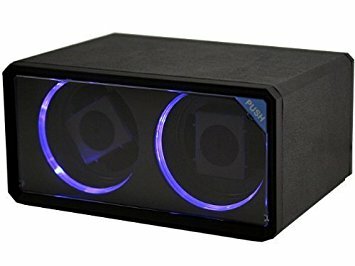 It’s a simple affordable double watch winder that’s practical for people who need to wind up more than one watch at a time. Here we have a high-end luxury watch winder that can hold up to 6 watches at once. This model is from the Aevitas Magnum collection which offer some of the highest class watch winders available. Aevitas are a brand I’ve always been quite pleased with as I have one of their cheaper watch boxes at home myself, obviously nowhere near this level of standard though. This watch winder features superior Japanese motors with strong gearing which are virtually silent. You have a choice of turns per day available as 650, 950, 1250 or 1850 in either clockwise, counter clockwise or both. This is ideal for pretty much 99% of watch brands. 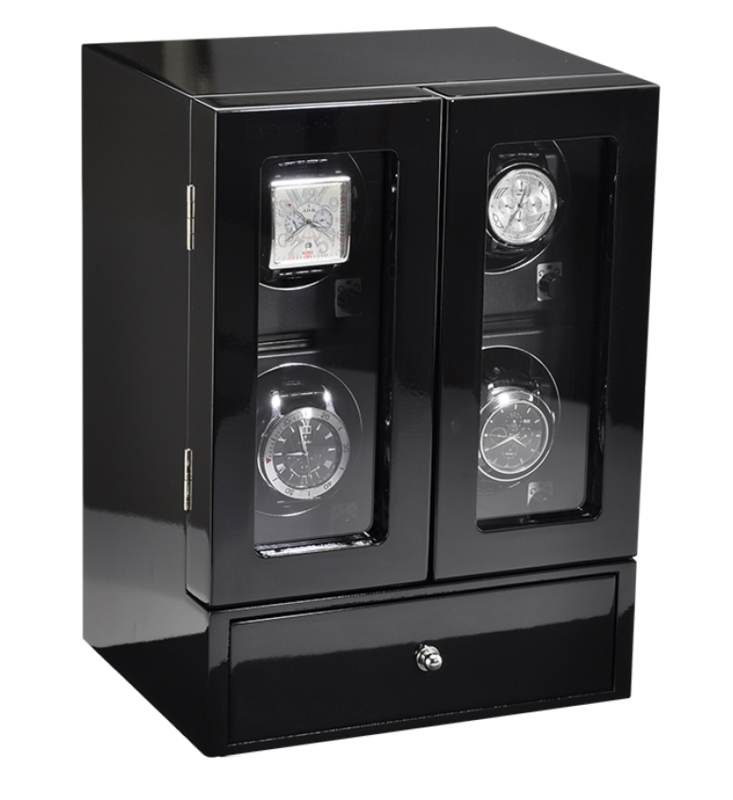 This is another affordable watch winder from Time Tutelary, this time with a vertical dual holder design. It features 4 different modes for varying options when it comes to rotation vs rest time. 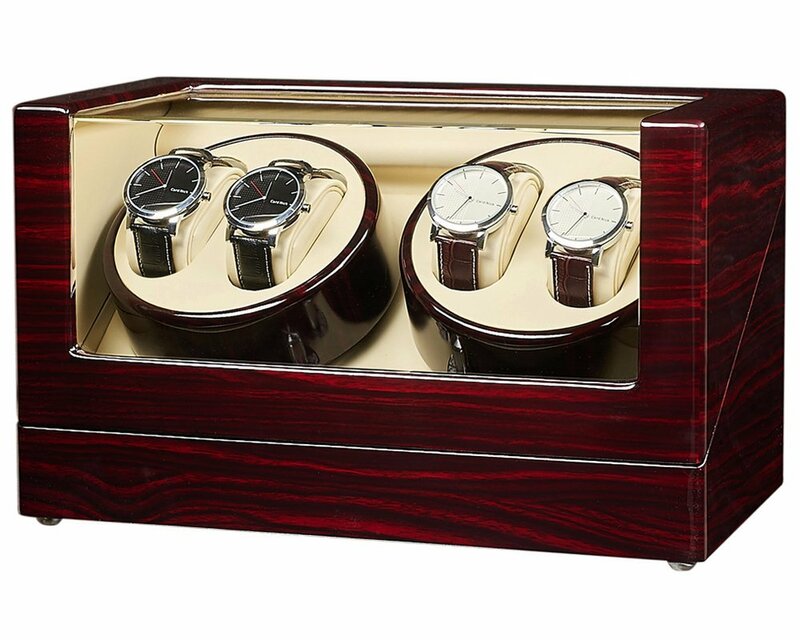 Here we have a quad wooden watch winder box that holds up to 4 watches at a time. It has a luxury finish to it made with a Japanese super silent motor which makes it a very quiet watch winder. The box has a high end finish with a piano lacquer and transmission using copper fittings. This watch winder has 3 direction settings and multiple turns per day settings available. 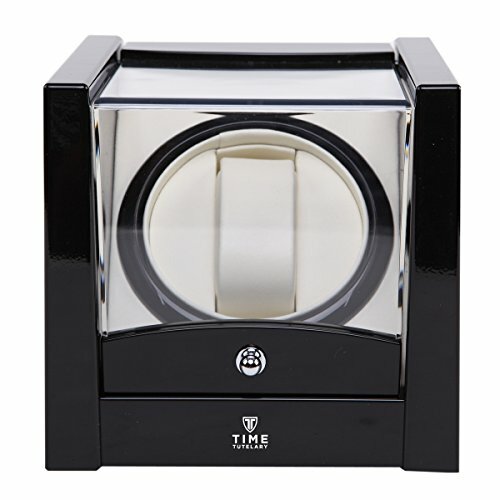 This is the first watch winder that we’re featuring from Temotus. I’d say it has a pretty interesting design for those of you out there looking for something a bit different. It has 12 programmes available with a wide range of rotation settings per day available in any direction. This watch winder uses a direct drive motor for longer lasting use versus a belt drive winder. It also features a sleep mode so it pauses the motor for 12 hours every night. 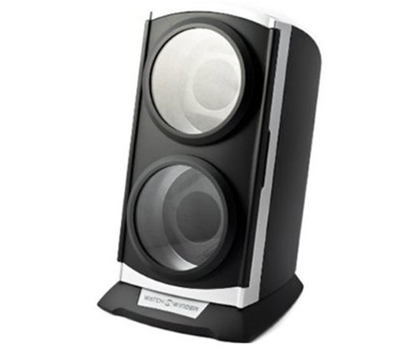 If you’re after a modern watch winder then perhaps this dual version might be of interest to you. It features LED lights and a flip down transparent window to show off your watches with a bit of flair. It features a very quiet motor with four timer modes available to provide the correct rotation for your timepiece. Next up we have a mid range quad watch winder from Time Tutelary with a high gloss piano style finish. It’s encased in an engineered wooden case and features adjustable rotation settings. You can wind up to 4 watches simultaneously with 4 watch winder settings available. It features a storage drawer for jewellery and runs on a reliable silent motor. 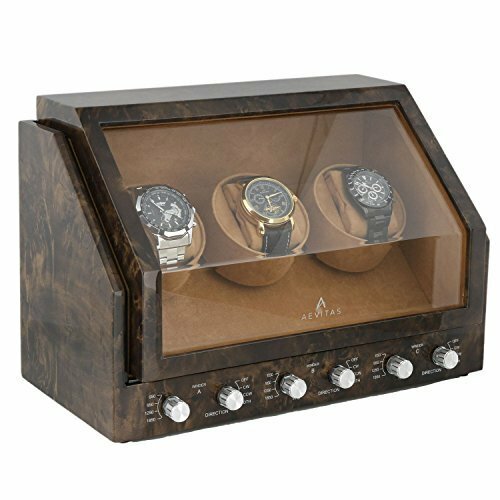 Here we have another beautiful triple watch winder from Aevitas in a Dark Burl wood. It features a superior Japanese motor with stronger gearing which makes the watch winder extremely quiet. There are multiple turns per day and direction settings available to suit most automatic watches. This is the first of a few Wolf watch winders we’ll be showcasing today. 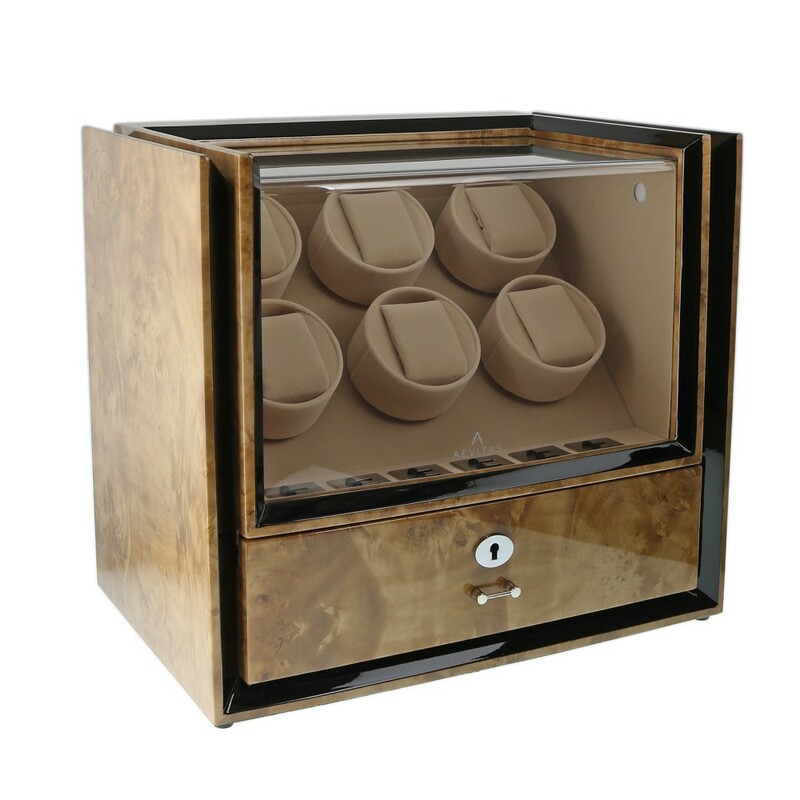 Wolf watch winders are pretty popular and known for their mid to high end range of luxury watch winders. It has 57 user-defined settings available with 300 up to 1200 rotations which can be altered in increments of 50. Three rotation modes, countdown display, adjustable watch pillow, and varying start time delays. Next up we have a dual wooden watch winder with a distinctively classic appearance. This watch winder can run either clockwise or anticlockwise with four timer function modes available. If you’re after a watch winder that looks a little different yet keeps to that classic look, then perhaps give this one some consideration. 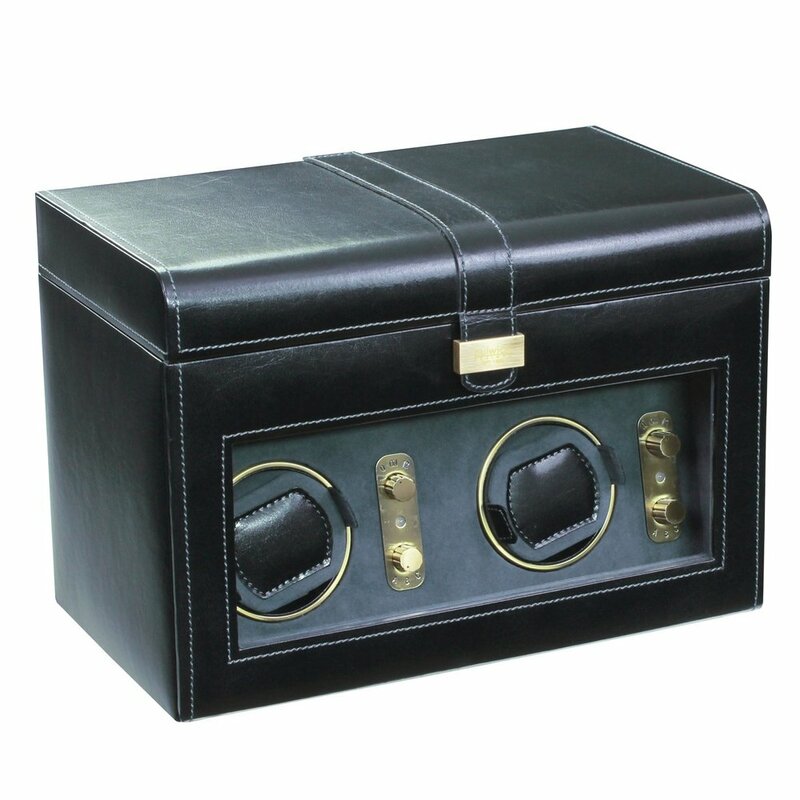 This triple watch winder box from Wolf Designs has a black faux leather exterior with a chrome clasp closure and control turn knobs as well as a tempered glass cover. A key feature of this watch winder is the patented rotation program, intermittent rotation with pause and sleep phases pre-programmed. 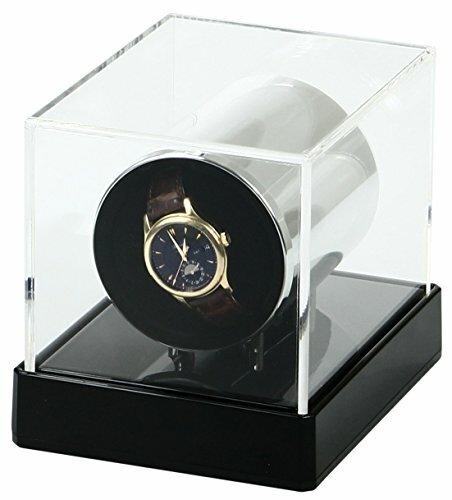 This is designed to house heavier and larger watches in this watch winder box. Another one of the best watch winder brands is Dulwich Designs. This is a leather watch winder that can rotate two watches simultaneously as well as housing for 5 extra watches in its top storage compartment. It’s designed with noise suppression and has a secure click in pad. It’s user-friendly and operates at 600 turns per day with three rotation options. There’s also pre-programmed sleep and pause phases. It can also be used as a battery operated watch winder as well as mains powered. 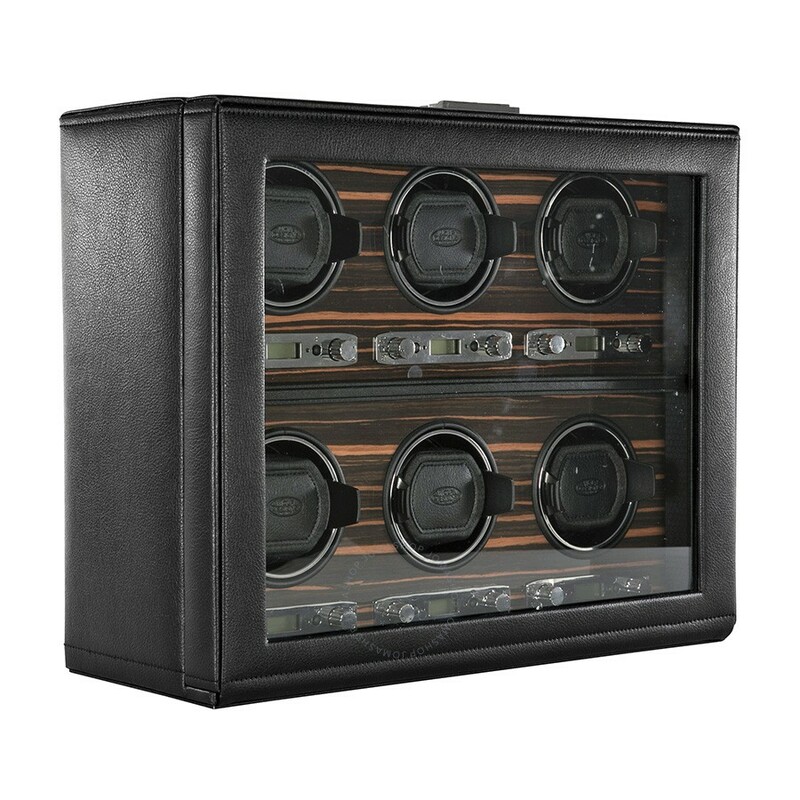 Here we have another luxury watch winder from the popular Wolf Designs. 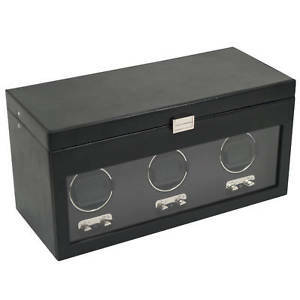 This can hold up to 6 watches in a high-quality artificial leather houses with a chrome plated lock on the front. The interior is finished in a high-quality exotic Macassar veneer with chromed fittings. 57 user-defined settings available in three rotation modes. Varying start time delays are also possible. This is the last model to be featured in our look at the best watch winders available. 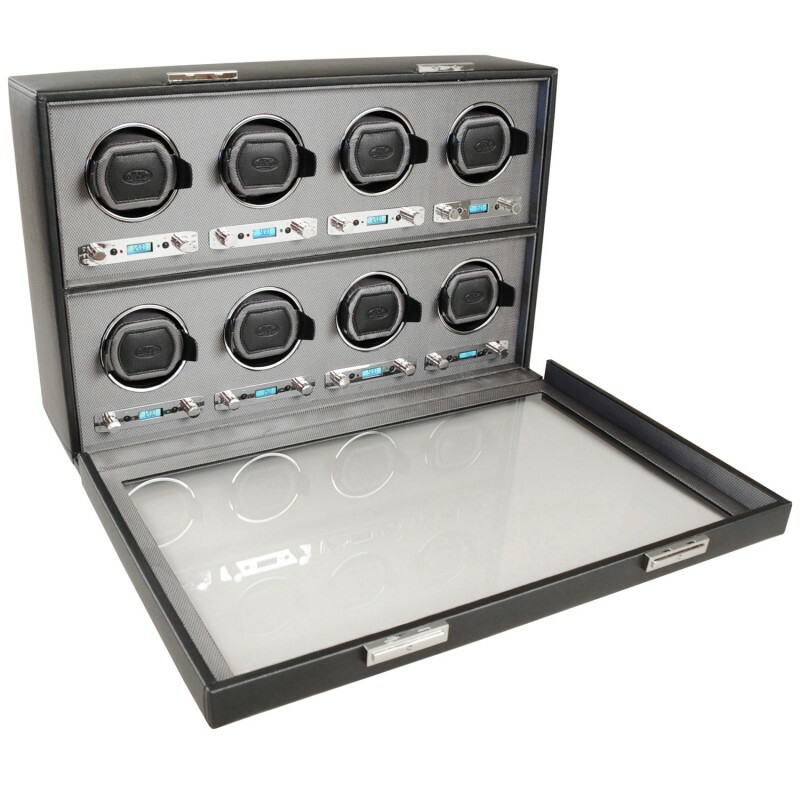 This is a luxury watch winder box that can hold up to 8 watches. It’s quite an expensive watch winder as you’d expect from Wolf Designs luxury collection. This watch winder is from the Viceroy collection. It has a high quality artificial leather on the outside with a finely patterned silk on the interior. There’s 57 user-defined watch winder settings available in three rotation modes with multiple start time delays available. Each compartment also features a countdown display to show the remaining rotations for each cycle. I hope you enjoyed taking a look through our best watch winder list today. In the future, we’ll be included watch winder reviews for all the top brands so keep an eye out for that. As always comment below and let me know what your favourite watch winder box was.